Our routine podiatry appointments are 30 minutes long. During your first appointment a full medical record including any medication is needed. 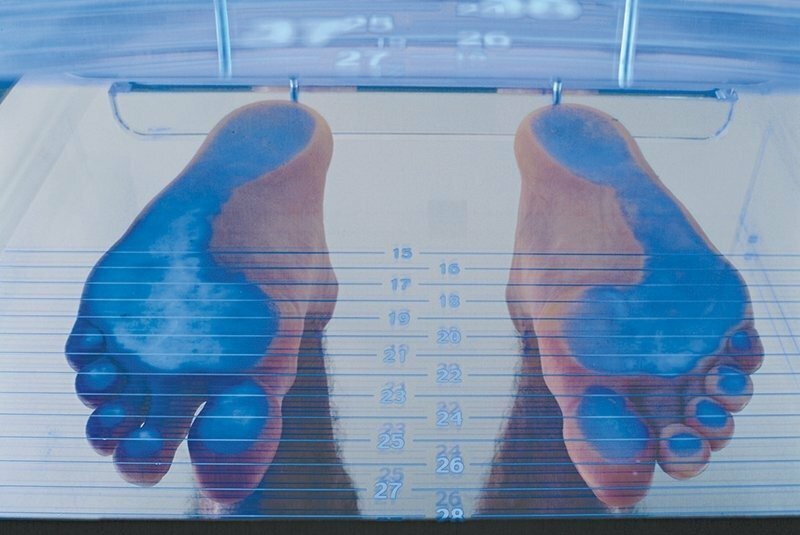 A foot health assessment is performed which when used in combination with your concerns allows the Podiatrist to tailor the treatment to your needs. Any foot complaints that you have can be addressed and further advice provided if needed. We believe our treatments are effective and we use high tech equipment along with precise podiatry skills to leave your feet feeling great. We provide expert podiatry treatment using a blend of traditional techniques and high spec modern equipment . Our Chiropody / Podiatry treatments are 30 minute appointments and are carried out in a professional and welcoming environment. Treatment for common foot problems such as hard to cut toenails, corns, hard skin and fungal nail infections. Orthotics, sometimes called shoe inserts or insoles are medical devices worn inside shoes to aid the foots ability to function efficiently. Orthotics provide support and lessen the burden on structures within the foot and lower limb and in so provide effective treatment for many musculoskeletal injuries derived from ineffective foot function. Orthotics can be custom made or can be worn straight off the shelf with both options being available at our Clinic. Nail surgery is the removal of all of the toenail or part of the nail. A local anaesthetic is administered at the base of the affected toe or toes to numb them so that you will not feel any pain during the procedure. After the removal of the entire nail or a portion of the nail, a chemical may be applied to the exposed nail bed and matrix to prevent regrowth by destroying the nail cells. The aim of nail surgery is to provide a long term cure for ingrowing toenails and does so in 97% of cases. So why not contact us for advice or to make an appointment for Nail Surgery in Durham. 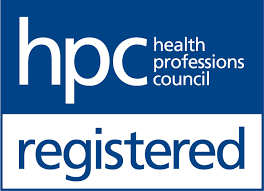 If self-treatment is not working and /or the verrucae appears to be getting larger or more painful, you should seek the help of a HCPC registered podiatrist. Additionally, if you have diabetes, poor circulation, are pregnant or any other condition affecting your feet (or your immune system), it is important never to treat verrucae yourself and visit a podiatrist instead. Verruca treatment can break down healthy tissue and cause wounds. Sports Massage is of particular benefit because of the increased demands that sport can put on the body. Most professional sports clubs employ a massage therapist to help their players and athletes get and keep fit. Pre event massage can be given to help prepare the muscles and other soft tissues for sporting activity. This can help to reduce the risk of injury and prepare the body and mind for sporting activity. Post event massage is a slower firmer massage that is given after sporting activity to improve circulation and aid recovery. A strong, elastic athletic tape that reduces muscle pain, increases mobility, and enhances athletic performance. The Kinesio Taping Method is designed to facilitate the body’s natural healing process whilst allowing support and stability to muscles and joints without restricting the body’s range of motion. It is used to successfully treat a variety of orthopaedic, neuromuscular, neurological and medical conditions. We Specialise in assessing injuries to the musculoskeltal system. Within our clinic we have a Sports Podiatrist and a Sports Therapist enabling us to offer you a comprehensive range of treatment options to successfully treat your pain and injury. James our Podiatrist is a former national level 800 metre runner (1.53sec) and continues to run for general fitness. James holds degrees in Sports Science (Loughbrough University) and Podiatry (Durham School of Podiatry) and has extensive experience of treating injuries related to the foot and lower limb. James has been a qualified, practising Podiatrist since 2007. Jason is a Sports Therapist and has been practising since graduating in 2008. He has a passion for sport and exercise, with a particular interest in Athletics. Jason is a keen runner and takes part in this competitively. Jason has been a member of Gateshead Harriers for many years but has more recently turned his interests to the development of the Washington Running Club. Since qualifying, he has gained experience in working with clients from amateur level to elite athletes; he has worked as a Sports Massage Therapist in both the London 2012 Olympics and the 2017 Athletics World Championships. This work has enabled him to work with a wide range of people across many disciplines. In addition to Jason’s Sports Therapy qualification, he has also completed the UK Athletics Strength and Conditioning Module with being a level 2 endurance coach. Copyright @ 2019 James Hogg Podiatry. All rights reserved.